Today is my last day writing the blog for all of you avid readers. 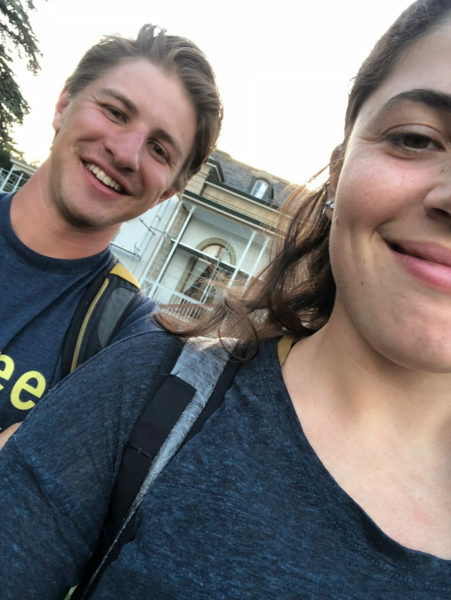 It’s been an amazing job – getting to tell the stories of every Apogee trip this summer for curious friends and family members. I wanted to end my blog writing responsibilities on a high note today, so I made the theme a popular dance move from 2016: the dab. 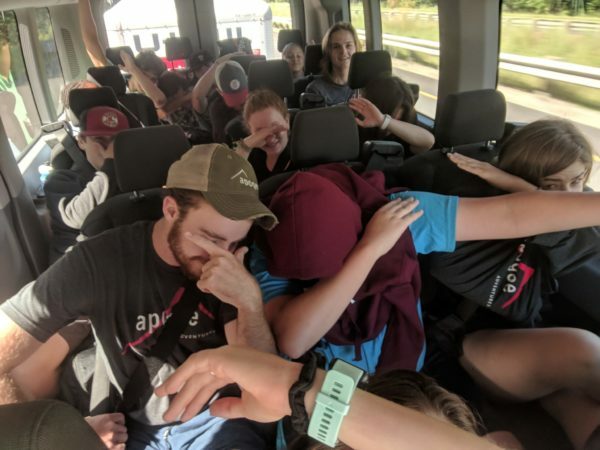 For those of you who don’t know, the dab was invented by music group, but went viral after being popularized by the superstar quarterback for the Carolina Panthers, Cam Newton. 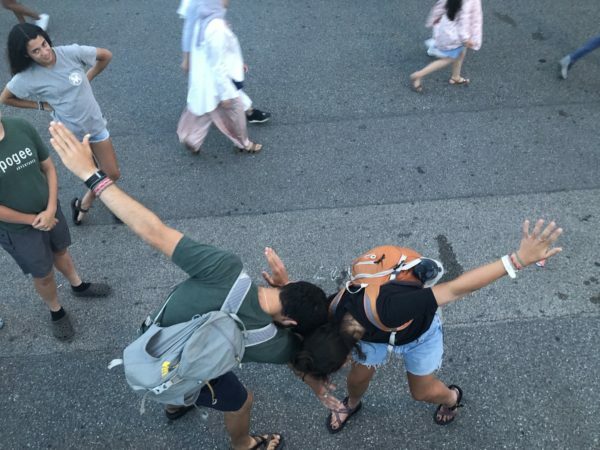 Since then, the move has been performed by all sorts of popular figures, and today our Apogee kiddos give it a shot as they dab away in some of these great blog pics. Enjoy! 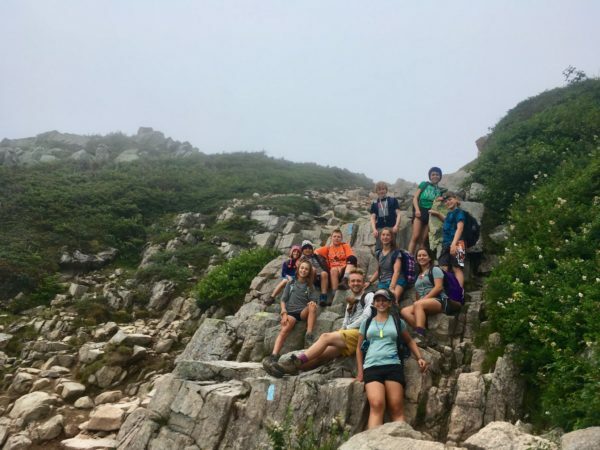 The Maine Coast Junior A team said goodbye to life on two wheels, as they put their bikes aside to return to hiking! 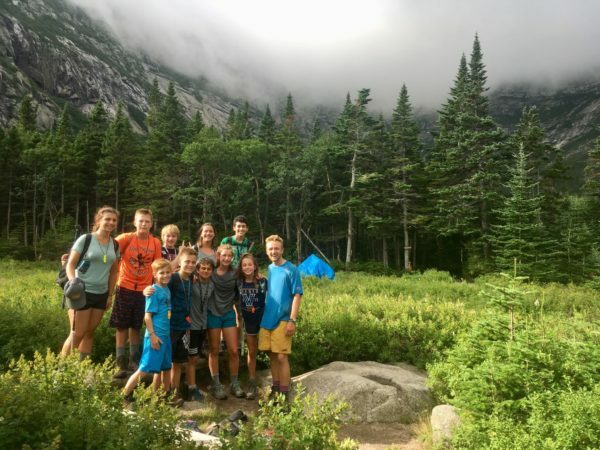 The group completed a day hike after spending some time in the van on their way to Mid-Coast Maine. 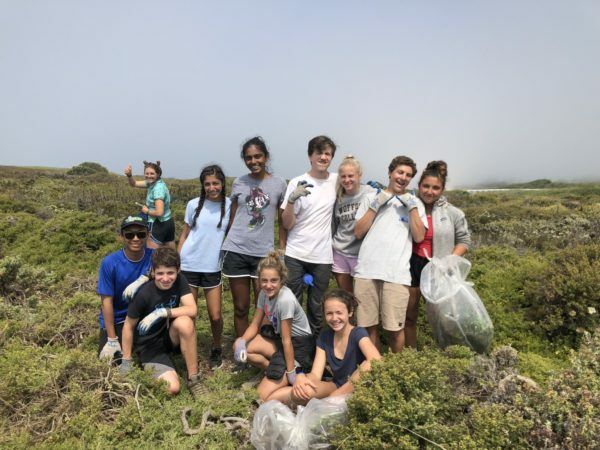 Great work, kids! 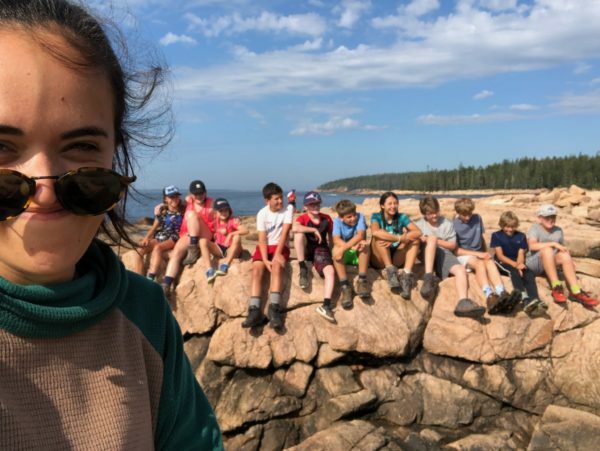 The Maine Coast Junior B squad enjoyed their day by heading back from Acadia to do service at Wolfe’s Neck State park. 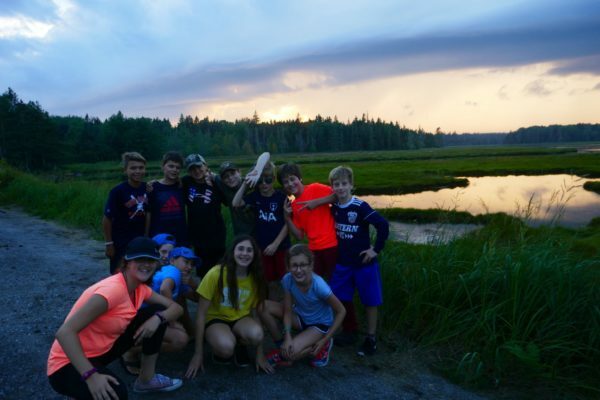 Check out some sick sunset pics the group took last night on the way back from ice cream on the island! 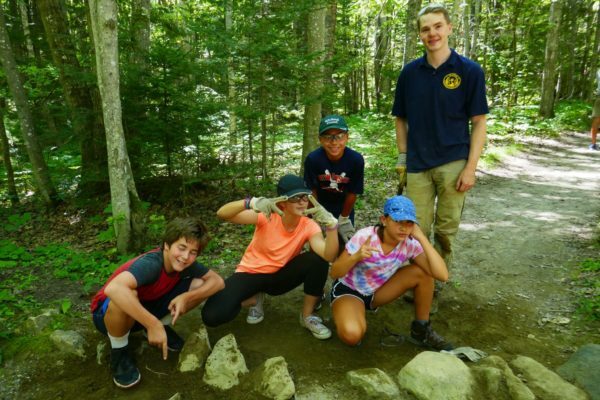 NEMC packed up their stuff and left the White Mountains of New Hampshire as they made their way to the shores of sunny old Maine! They spent a good part of their day kayaking on the blue waters of the Atlantic Ocean. Good job, squad! 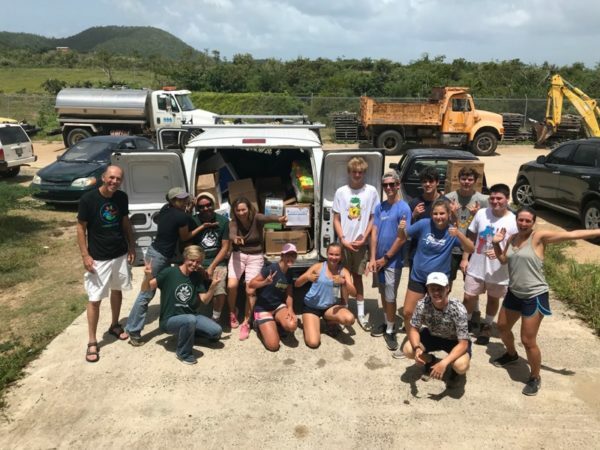 The Caribbean Service trip spent their last day in Vieques today, where they completed their final day of service doing hurricane preparedness work in a warehouse organized by the Sail Relief Team. After finishing up their volunteer work, they were treated to a beach BBQ by their partners at Reach for Success. 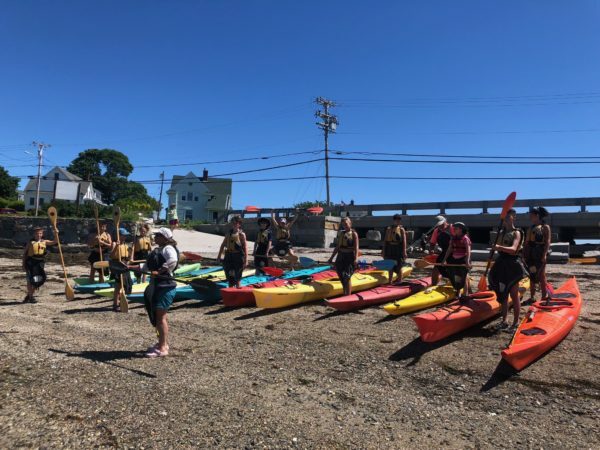 This evening they got to kayak in one of the brightest bioluminescent bays in the world! 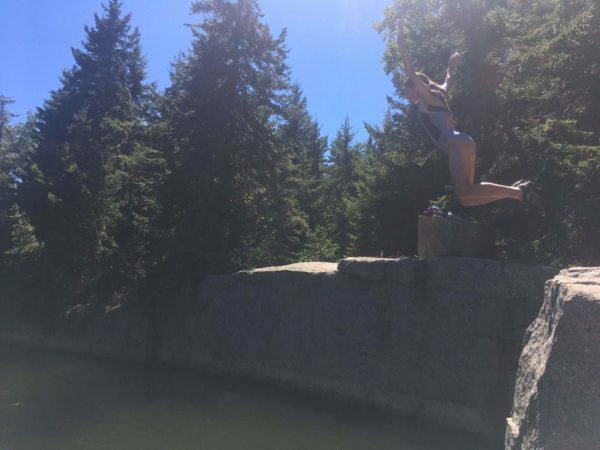 It has been described to me as “gorgeous and one of the most singularly cool things you’ll ever witness”, so let’s hope these kiddos enjoyed it! 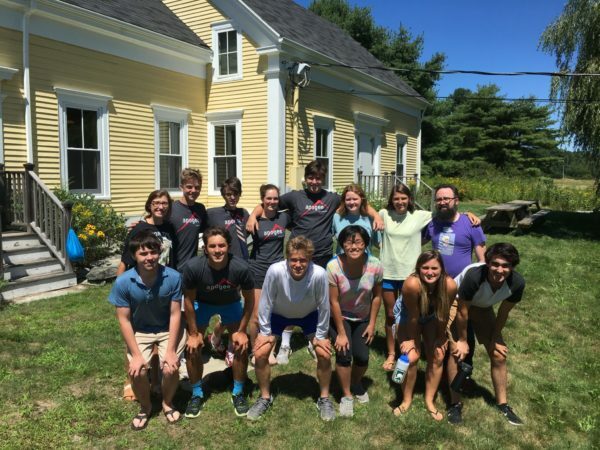 The Maine Coast College Essay squad enjoyed their final full day on trip. They started their morning with a final essay review, where they dotted their t’s and crossed their i’s (wait a minute…), before sharing their essays with each other. They spent the afternoon exploring the charming city of Portland, Maine, where they subsequently ate a celebratory final dinner. Congrats, essayists! 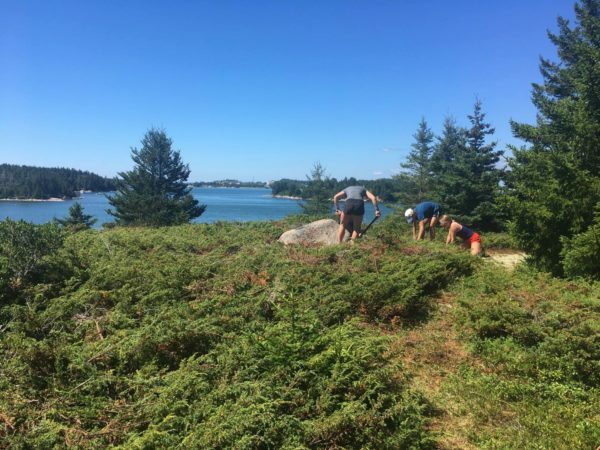 The Maine Coast Photo group spent the morning hiking and snapping their last pictures before they dropped off their SD cards (or film, for the old-schoolers) in town to get their photos developed and printed. 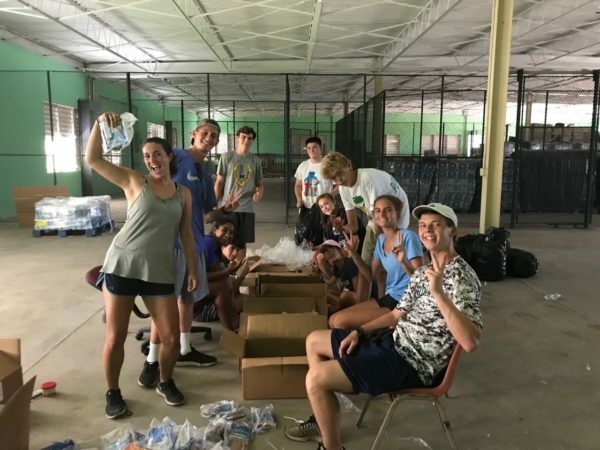 They also spent the afternoon doing community service work before their final day tomorrow. 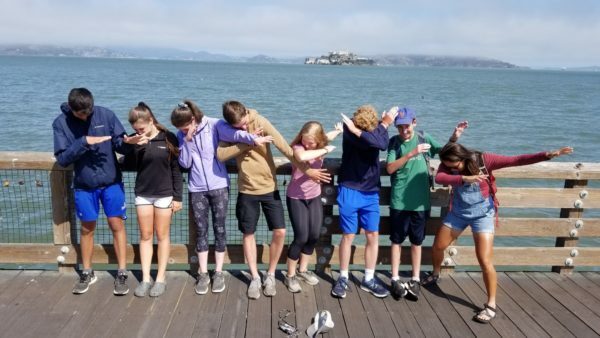 Check out all these kids having a blast and dabbing away! 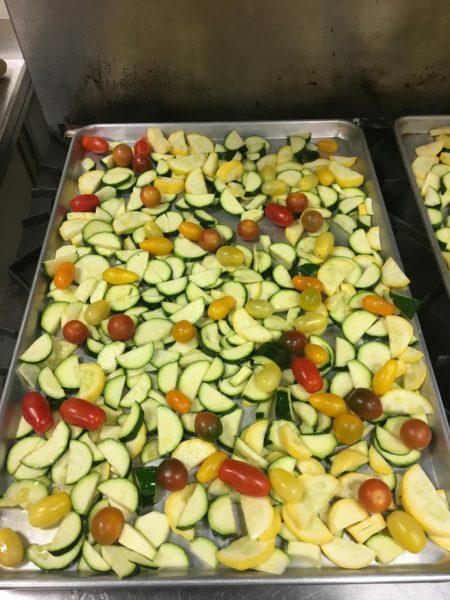 The inaugural culinary Maine Farm to Table trip served a massive dinner for a whopping crowd at a community shelter tonight as they completed the community service portion of the trip. 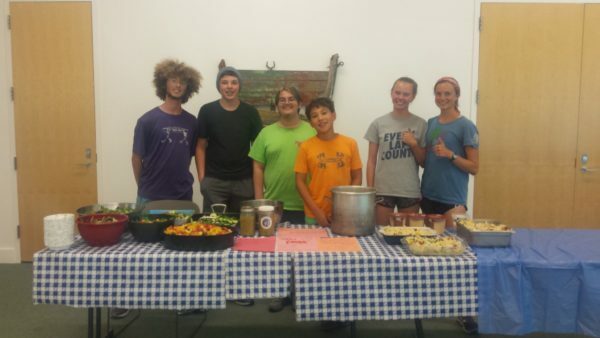 In case you were wondering, the menu consisted of chicken, pasta, and salad! 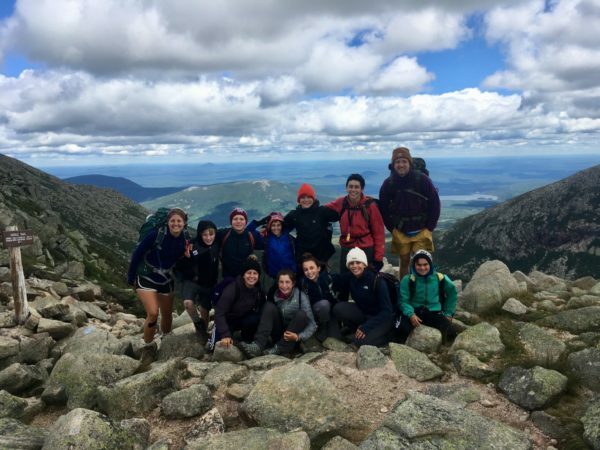 The Downeast Explorer A group summitted Mount Katahdin today. 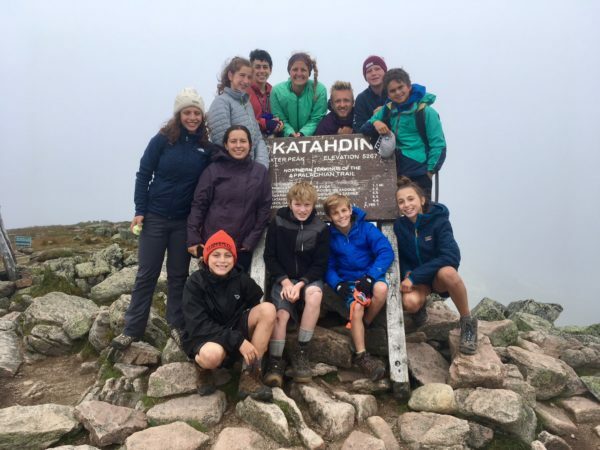 In case you’re not familiar, Katahdin is the tallest mountain in Maine (and maybe even the world! 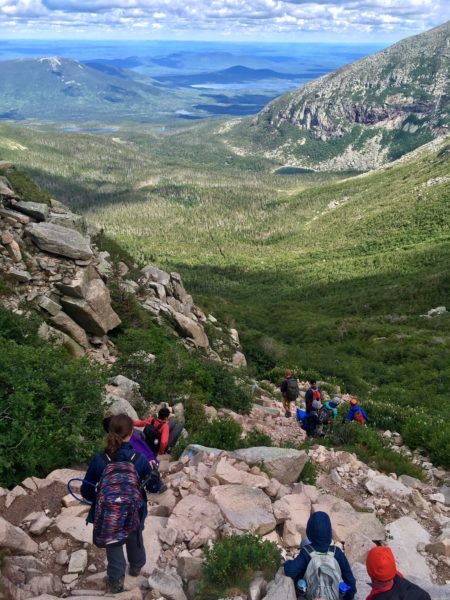 …ok fine just in Maine), peaking at over 1 mile above sea level. 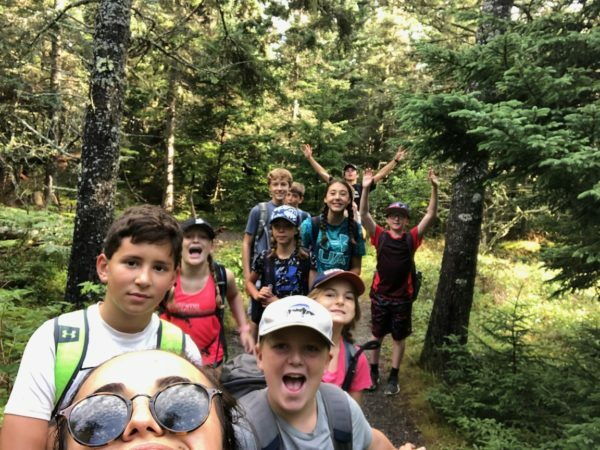 Due to the low level surroundings, Katahdin has a nearly 4000 foot elevation gain that these kiddos absolutely crushed. Great job, squad! 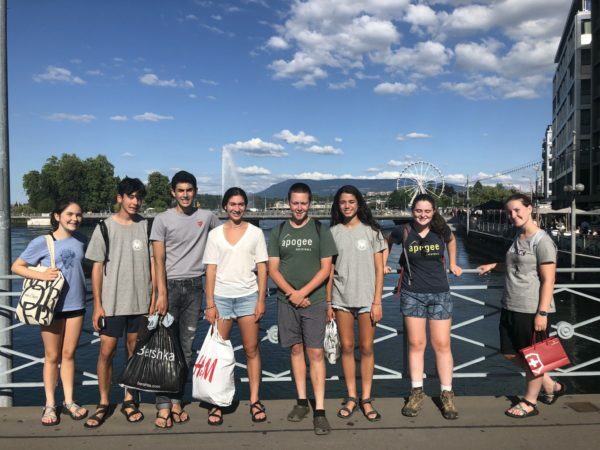 The Vermont to Montreal A and B groups said their farewells today as they left Montreal (adieu, Canada!) and got back to the good ol’ U-S-of-A. They were surely sad to be saying goodbye! 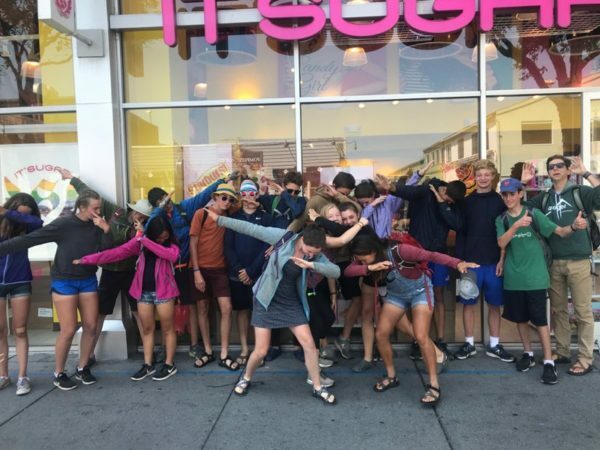 Check out VMB dabbing on the last day! 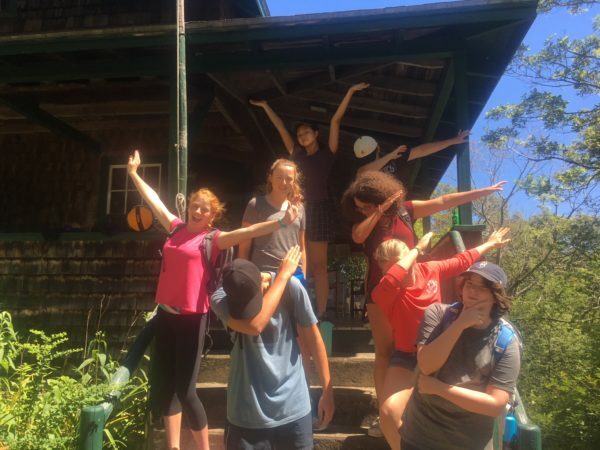 The fearless, bilingual, and philanthropic CRLS group had the quintessential Costa Rican experience today. 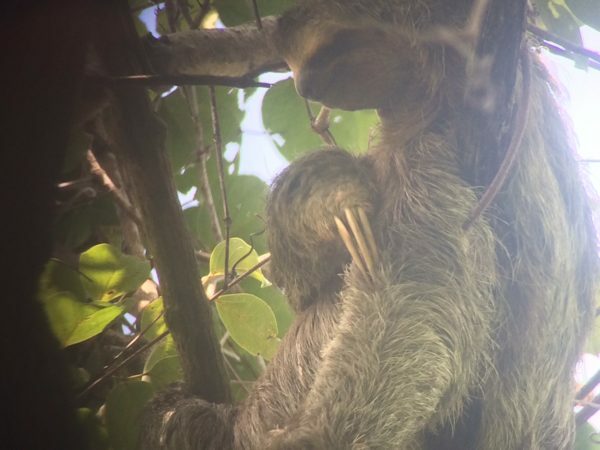 This morning they got a guided tour of Manuel Antonio National Park, where they then got a chance to explore the beautiful and dramatic flora and fauna of the park (sloths, lizards, monkeys – oh my!). They then took in the Central American beaches and enjoyed the breeze rolling in from the ocean. Sounds lovely! 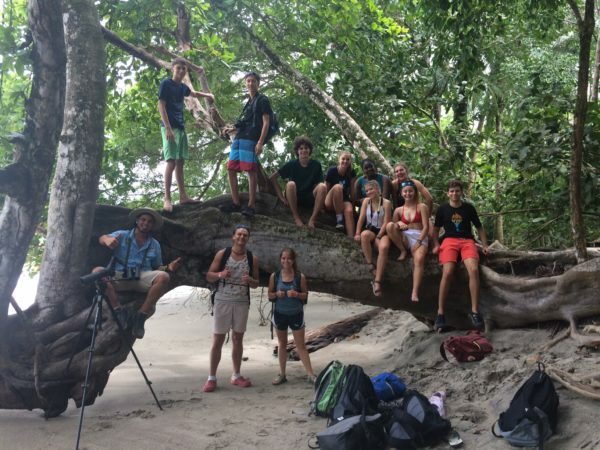 The Costa Rica Mountains and Coast group had a truly awesome day. 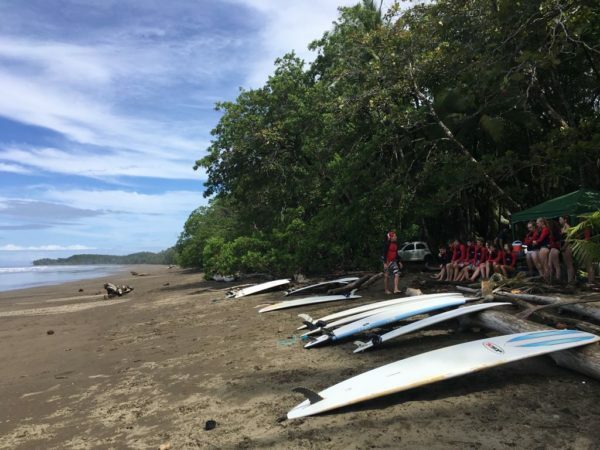 They spent the morning surfing, then headed back for a quick lunch before departing for Alajuela where they will be spending their last night. Looked like a great day to tear up some waves! The California Mountains and Coast A group spent a full day by Half Moon Bay State Beach and San Francisco, where they did a few hours of service and enjoyed the breeze, the sunshine, the sand, the ocean, the waves, the aquatic life forms they came across, and everything else there is to enjoy. Nice work, team! 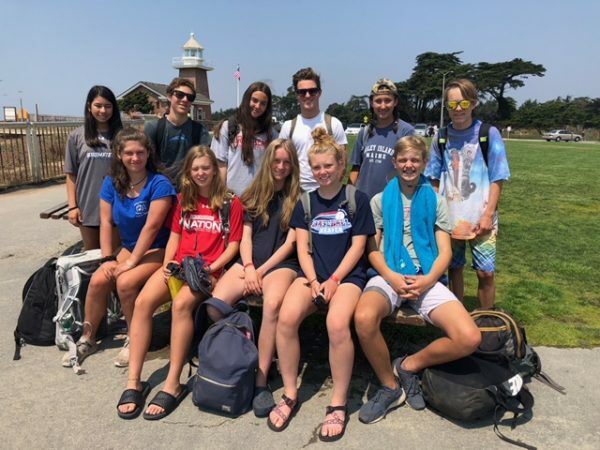 The California Mountains and Coast B group had a great final day today by Half Moon Bay State Beach in sunny California, where they did service by pulling weeds. Before they gear up to say goodbye tomorrow, the group gets to enjoy the West Coast (best coast?) and San Francisco in particular for one last full 24 hour stretch. 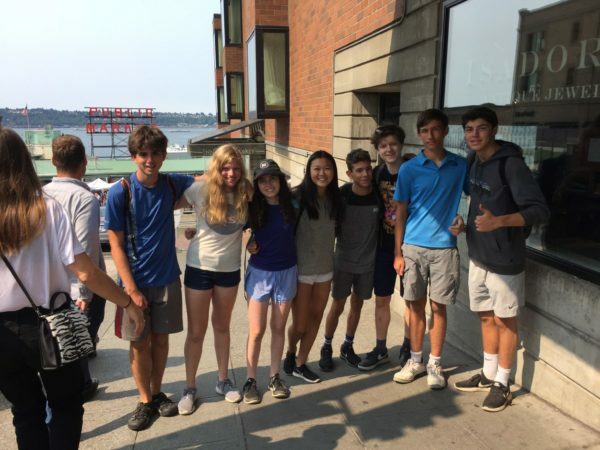 The Northwest Explorer A squad enjoyed spending the day in the most populated area they’ve seen since they left for their adventure almost 3 weeks ago – Seattle. It was their last full day on trip today, which is surely very bittersweet. Enjoy the big city! 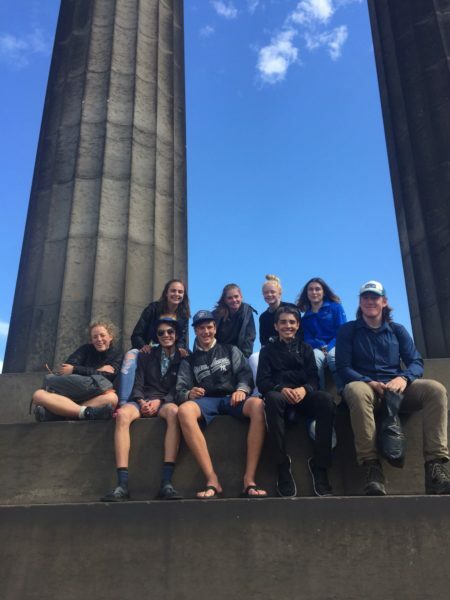 For the Northwest Explorer B trip, today was the last full day on trip. 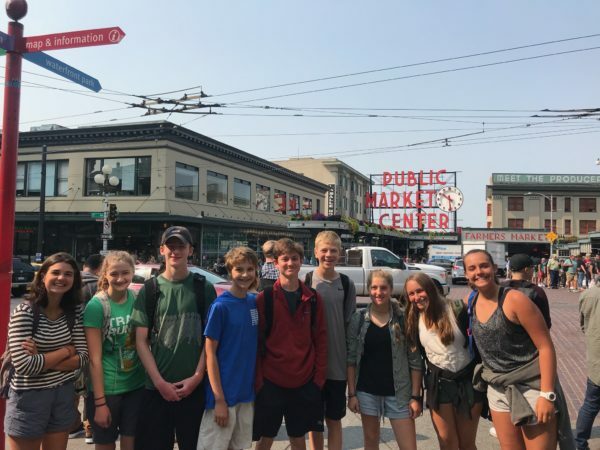 Instead of spending it with their backpacks on in the middle of the wilderness, the trip went to the very popular city of Seattle to explore and indulge! Enjoy the last full day, kids! The Pacific Coast A trip spent their final full day of the trip in sunny San Francisco. 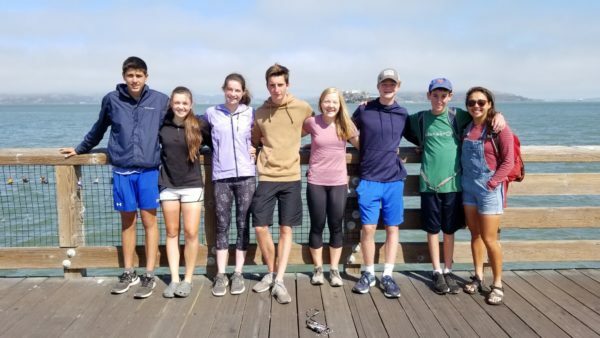 After biking through the coastal landscape for miles on end, this brave group of bikers got to spend the day in one of the West Coast’s most famous towns. As they retreat to their accommodations tonight, there are surely mixed feelings about being done with such an incredible adventure. 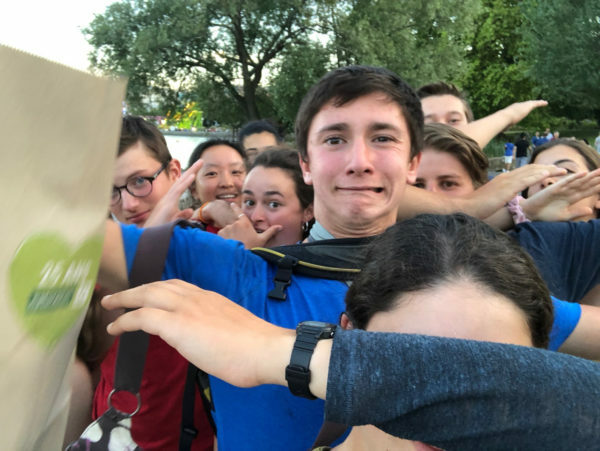 Nice dabbing! The Pacific Coast B trip spent the last full day of their voyage in San Francisco – a city known for it’s cable cars, hills, fog, Victorian houses, and the island of Alcatraz. Let’s hope these kids enjoy their final day and take it as an opportunity to cement their memories! 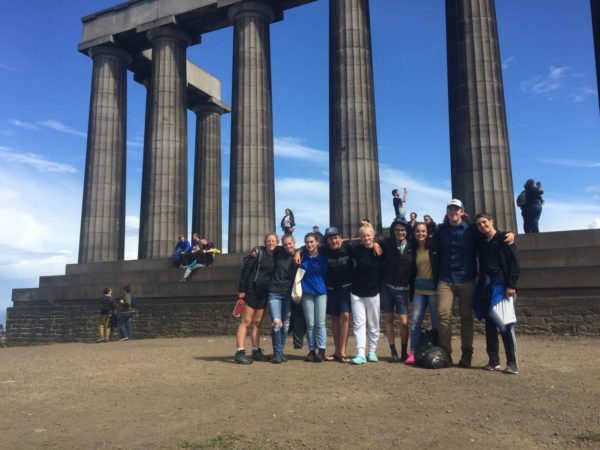 The Scottish Highlands group had a great final day celebrating their accomplishments and exploring Edinburgh. For those who didn’t know, Edinburgh is the compact and hilly capital of Scotland. Sitting above the town is the world famous Edinburgh castle, where historically Scottish rulers were crowned. Let us wish them well in whatever the future may hold! 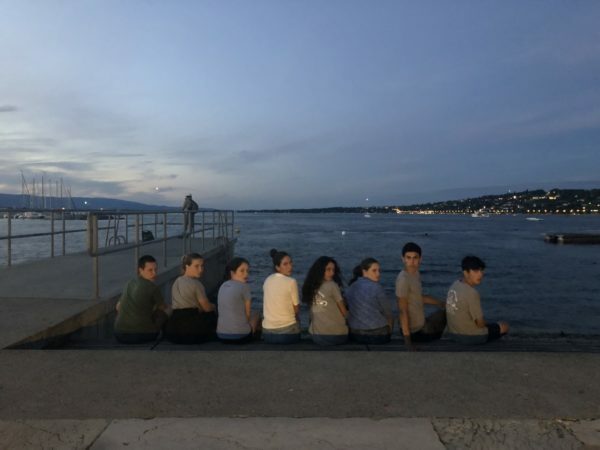 The Alps Explorer A and B groups both got to spend their final day in Geneva, where they took in the incredible cultural, natural, historical and architectural beauty of one of Switzerland’s most populous cities. 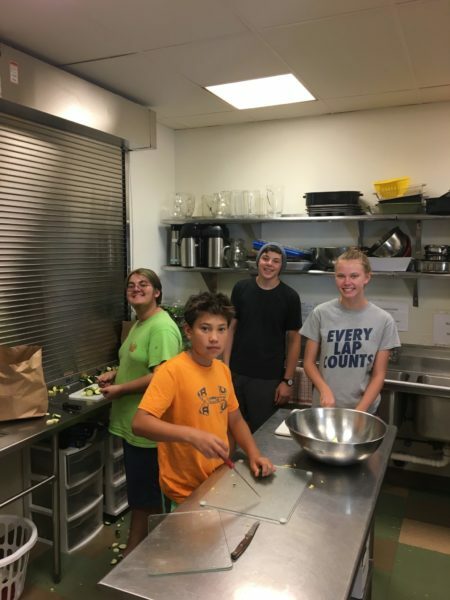 Our kids spent the day exploring Geneva and giving back to the community. Here’s our AXB squad, looking great! Here is a blurb and some pics from AXA!
. Today we woke up in our Geneva hostel feeling like a bunch of legends. After a breakfast of freshly baked bread, an assortment of jams, yogurt and HOT DRINKS, we suited up to start our community service. 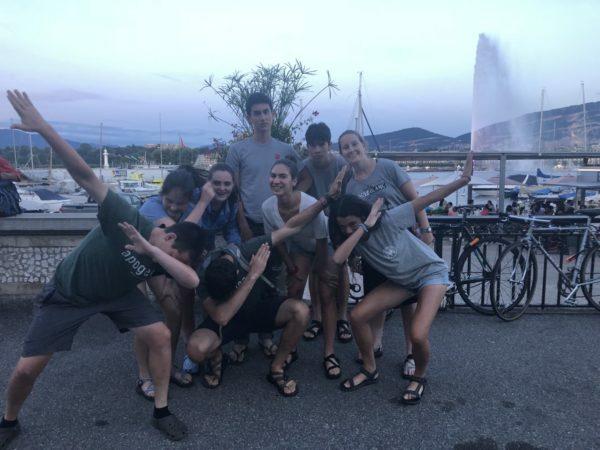 With gloves on and garbage bags in hand, we scavenged the Geneva Botanical Gardens for trash just like the Leave No Trace enthusiasts we are. 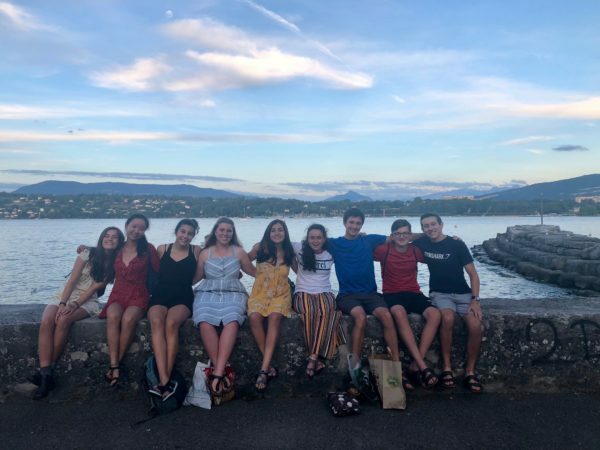 After filling our trash bags and eating our final midday European feast, we left the spotless Botanical Gardens and headed further into Geneva to explore all it has to offer. We then crushed an outrageously good Italian dinner and some gelato before heading off to hang out by Lake Geneva. Though we are sad that the trip is coming to an end, we are all very grateful for an AMAZING 3 weeks together. Thanks, Europe, and thanks, Apogee! WE LOVE LIFE!!!!! Also, we dabbed so hard!!!!! 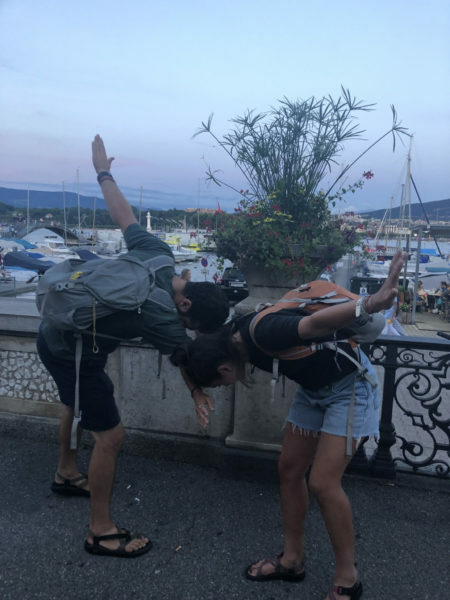 We love the dab and think it should definitely come back to relevance. We’re reintroducing it in Europe. ACC2 said their final goodbyes today as they parted ways for the first time in 40 days. Congratulations once again team, the sheer magnitude of what you’ve accomplished defies imagination – great job!! 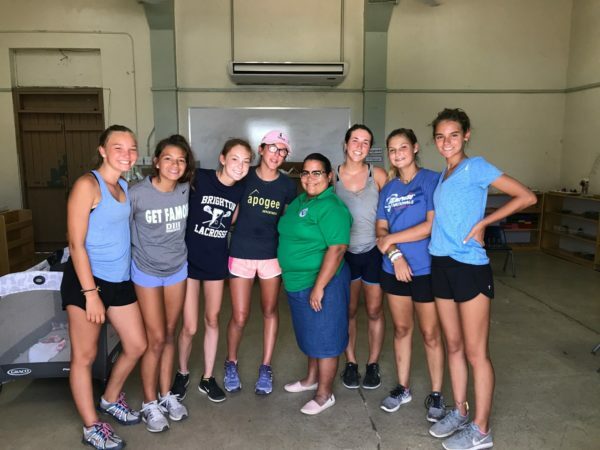 We hope this experience will be one you look back on fondly and often, and that it continues to inspire and empower you as you continue your journey through life!